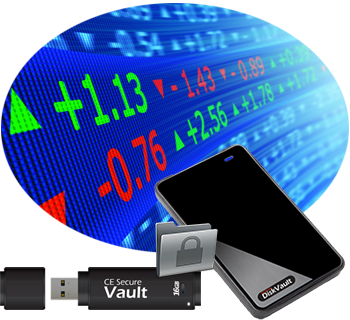 BounceBack bundled with our fast and reliable portable drives, safeguarding your treasured data. Established as CMS Enhancements in 1983 and reorganized in 1997, CMS Products is a leading innovator in data backup, encryption and security technology for business users and consumers. Our flagship ABSplus automatic backup and restore disaster recovery solution, powered by our award-winning BounceBack software, is sold in more than 90 countries. 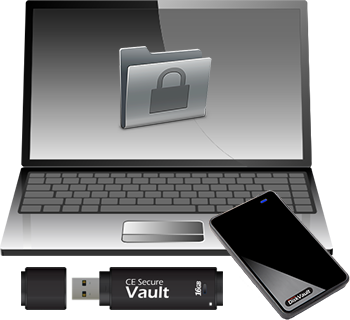 In addition to our extensive line of laptop and desktop storage solutions, CMS offers a full suite of data security products for businesses, powered by our CE-Secure data encryption software. 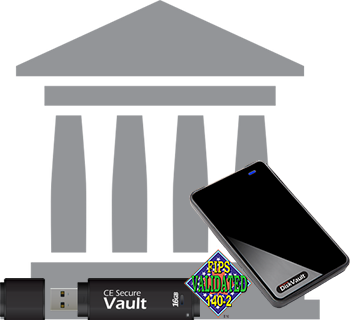 Our data security product line includes the innovative ABS Secure encrypted portable backup solution as well as the CE-Secure encrypted flash drives and hard drives. CMS Products has received global recognition for its high quality, user-friendly product offerings. We offer our products to enterprise, government agencies, and educational institutions through national and international distributors and resellers. Our consumer products are available and can be purchased from our online store. Let’s face it: your treasured data – the files on your computer that you cannot afford to loose – are under attack. No matter how many security programs you run, sooner or later, one of those threats is going to get through your defenses. Maybe it’ll be a hacker. Or maybe a pirate out to hold your data for ransom. Or maybe just an old fashioned natural disaster. Only one thing’s certain: it’s not ‘if’ you lose your data. It’s ‘when’. For decades, CMS Products has been helping customers with their data backup and storage needs. Let us help you protect your critical information. Years of experience and the dedication of our staff will help safeguard your valuable data. 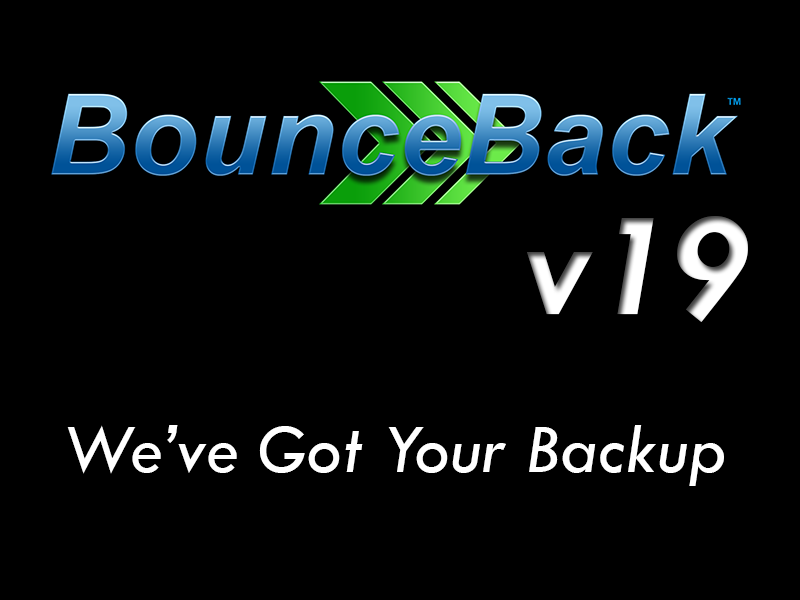 BounceBack is a simple, powerful, and automatic PC backup software that doesn’t take an IT expert to use. 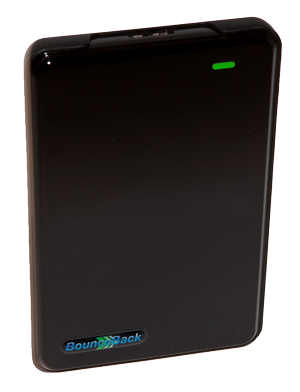 BounceBack bundled with our fast and reliable portable drives, safeguarding your critical data. With BounceBack, you can choose between file-level or image-level backups – meaning you can backup individual files, or your entire PC hard drive. Works on Windows 10, 8.1, 8, and 7(SP1). Now you can setup a unique, personal schedule within your backup routines to enable and disable backup jobs on your days of choice. BounceBack tested 4x faster than the nearest competitor. And, you can use automatic scheduling to backup bit-level or incremental changes, in between your full backups – ensuring your data is always protected, without needing to continuously run full backups. A backup is only as good your ability to restore from it, and the new BounceBack offers up to 4x faster restores – without compromising reliability. The newly developed logic builds an index into your backups for the fastest backup import speeds ever. Built-in 256-bit AES helps keep your content private and safe. Easily add a password to your backup jobs and in case your drive ever gets lost, your data will be encrypted and secure from unauthorized users. Our drives are made for demanding requirements for durability, shock tolerance and long-term reliability. We back up our trusted drives with warranty and unmatched support. Time matters, and every second counts. CMS Backup systems deliver full-throttle performance at twice the speed of other portable hard drives on the market at transfer rates up to 120MB/s. BounceBack utilizes new technology which uses multi-threaded I/O process to allow overlapping of file read and write operations for both backup and restore for faster processing, without compromising data integrity. With easy installation, simple step-by-step wizards, and automated backups, BounceBack makes it easy to backup your PC and keep your data protected. Get your first backup up-and-running within minutes. 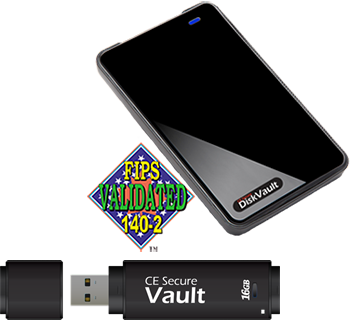 CE Secure™ line of hardened, tamper-evident flash drives and external hard drives, lock down your sensitive data with an on-board, hardware encryption engine that puts a military-grade, AES-256 wall between unauthorized users and the drive’s contents. There’s no need for employees to install drivers or other software to securely access their stored data, workspace or applications. 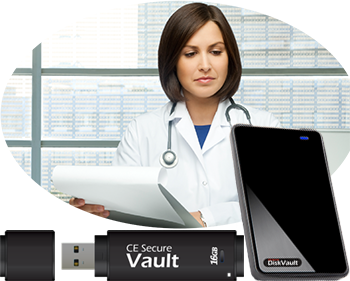 CE Secure™ drives come pre-loaded with everything users need, and they leave no trace on the host PC. When a mobile employee’s digital identity is compromised, your network, your applications, and your data all become vulnerable. 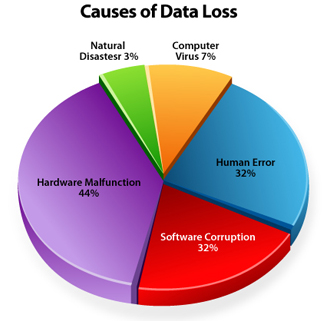 That’s why CMS offers strong, multifactor authentication on CE Secure drives. And for users of CE Secure™ drives, CMS offers enterprise-class identity management capabilities – combining Public Key crypto services, two-factor authentication and strong password management – to shield identities out in the wild. Only CMS integrates these sophisticated protections with encrypted storage in a single mobile device. CMS helps you simplify compliance with military-grade (FIPS 140.2) and encrypted USB flash devices. In addition, our mobile security solutions protect digital identities regardless of where your employees take them. Our centralized management platforms puts corporate in total control of data access and use, removing the reliance on the diligence of the hundreds or thousands of mobile workers who carry sensitive data with them every day.